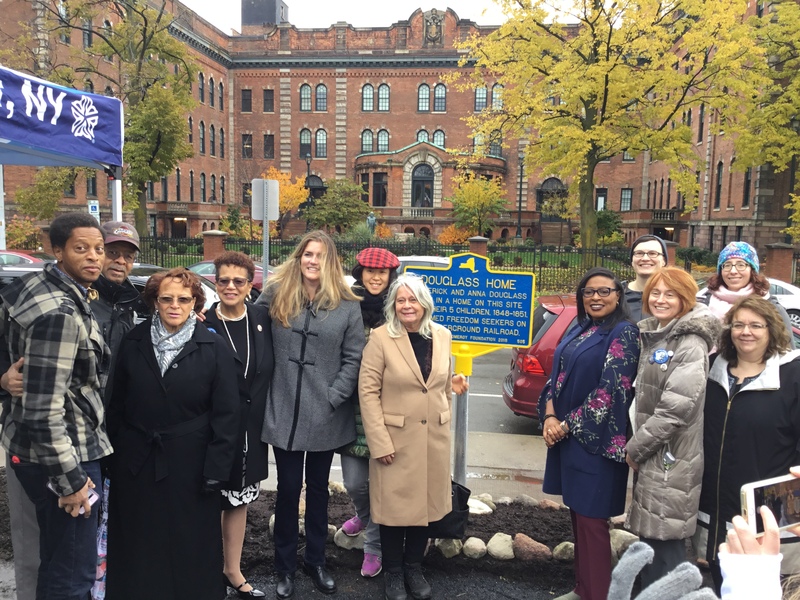 In a ceremony on Monday, November 5th, Mayor Lovely A. Warren unveiled a new historic marker in the location that permanently commemorates the site of the “first” home of Frederick Douglass and his family in the City of Rochester. Joined by Douglass family decedents Katherine Sprague Dexter and Jacqueline Sprague, Mayor Warren thanked RIT Professor Hinda Mandel and Dr. Emily Morry, a library assistant in the Local History and Genealogy Division at the Central Library for initiating the project, providing the research on the site and application to the Pomeroy Foundation to fund the marker. The marker is located at 297 Alexander St., in a parking lot where the two-story brick house purchased by Douglass in 1848 once stood. Sisters Catherine Sprague Dexter and Jacqueline Sprague are the great-great-great-grand nieces of Frederick Douglass’ daughter Rosetta Douglass-Sprague and her husband Nathan Sprague. 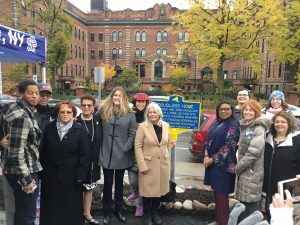 “It is indeed a great honor to witness this historical marker installation and to be present on behalf of the Douglass family.” stated Catherine Sprague. Rosetta Douglass-Sprague was the oldest child of Frederick and Anna Murray Douglass. She was a teacher, activist and founding member of the National Association of Colored Women. 170-years ago, Frederick Douglass, a man who escaped slavery and changed the course of his life, purchased the two-story, nine room brick house for $1,000.00, which was originally addressed as 4 Alexander Street. Under Frederick Douglass’ ownership, the home also served as a work space where Douglass, the abolitionist, statesman and great orator composed speeches, wrote articles for his anti-slavery newspaper The North Star, and was a secret rest stop on the Underground Railroad for escaped slaves on their way to Canada. The house was also the monthly meeting place of the Rochester Ladies Anti-Slavery Sewing Society. 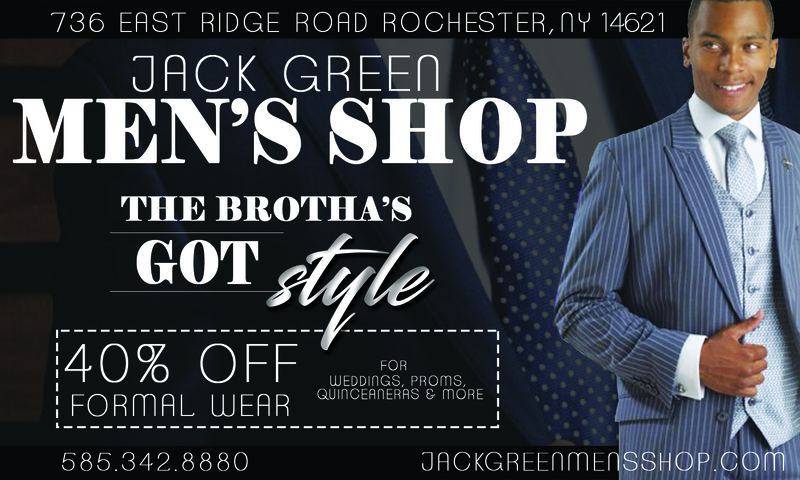 “We are celebrating 200 years of Frederick Douglass in the City of Rochester in this year 2018. …History was definitely made here, right where we are standing,” Warren said. “This is a rich, meaningful history. A history that should never be forgotten and it should be immortalized for our future generations to learn and take pride in. We should also never forget that this house, in all of its’ historic glory meant much more to the Douglass family. It was more than a house, it was their home. This is where Frederick and Anna Murray Douglass brought their first house and lived with their five children. This is a place where they helped people escape slavery; this is a place where they saved many; where famous visitors from other free states and countries came to make social calls to Mr. and Mrs. Douglass and their family. The Douglass family only spent three years at the Alexander Street home. …Unfortunately, the house was eventually torn down in 1954 to make way for a parking lot despite the fact that a year earlier the house had been recognized as the former home of Frederick Douglass. The Douglass family hosted visitors that were well known and those who could not be noticed, at the Alexander Street home. But, after 1850, when Congress passed the Fugitive Slave Act it was too risky to house escaped slaves in the well-populated area. Frederick Douglass purchased a farm with a private road on South Avenue, which is now the site of the Anna Murray Douglass School #12, where activities would be less noticeable. However, Douglass maintained ownership of the Alexander Street house which provided real estate income. He later sold the house before the family moved to Washington, DC. Jacqueline Sprague, in her address said she was proud and grateful to the Mayor and the Pomeroy Foundation for their efforts to preserve the Douglass history. 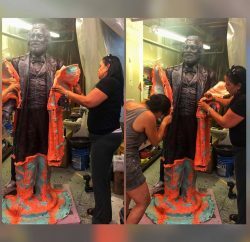 “The best part about this is that it is not just about Frederick Douglass’ birthday, it’s the opportunity for us to say ‘how do we continue to grow the unity in our community, to eliminate the divide that we have in all aspects that we have around race, around gender, around all areas,” she said. A Certificate of Appreciation was presented to Dr. Hinda Mandell by Jacqueline Sprague on behalf of the Frederick Douglass Legacy Committee for research and continuing efforts to recognize historical locations. In the East End area of Rochester, Tom Massachi is the current owner of the property where the marker is installed. Directly across the street of 300 Alexander Street, is one of the statues of Frederick Douglass, sculpted by Olivia Kim facing the historic marker. To find out more about historical sites of the Frederick Douglass legacy visit www.douglasstour.com.